“Tylenol Mafia — Marketing, Murder and Johnson & Johnson” book about the 1982 Chicagoland cyanide-laced Tylenol murders and allegations of corruption in the investigation. The Kindle download of the entire book ‘Tylenol Mafia’ is offered free on Amazon through Wednesday February 15, 2012 until midnight Eastern Time. At 9:20 p.m. Tuesday the book ranked #57 Free in Kindle Store, and #1 in Kindle Store > Kindle eBooks > Nonfiction > Professional & Technical > Law > Ethics & Professional Responsibility. ‘Tylenol Mafia’ offers a very interesting look at big business, politics, the judicial system, law enforcement and the FBI — historically and leading up to the 1982, and following. You don’t need a Kindle to read the book either, Amazon had a cloud reader that allows you to read right from your computer. There are also apps for Apple iPhones, iPads, and Android OS devices. Did you ever find it a little strange that the Unabomber, Ted Kaczyninski, was a suspect in the Tylenol murders of 1982? Or did you wonder how a person, such as extortionist James Lewis, could be a suspect for so long without conviction or exoneration after 29 years? Are you wary of Big Pharma’s concern for its own financial well-being over the well-being of individuals’ health? Did you ever wonder why there were only seven victims? Or wonder if there were more victims? A 511-page book, released today, covers many answers about the cyanide-laced Tylenol murder weapon that was discovered in Arlington Heights in 1982. The case is still unsolved after years of work by many local law enforcement agencies, county prosecutors and the FBI. The book has some eye openers that even those that have followed the case will be surprised to learn — namely the reason for the extortion scheme by James Lewis, and a mysterious incident that occurred in the wee hours of the morning just over 28 hours before seven people died from cyanide-laced Tylenol poisoning. What the public doesn’t know is shockingly described in the first chapter. Two Kane County Sheriff Deputies Al Swanson and Joseph Chavez came across a suspicious package in the parking lot of a now-defunct Howard & Johnson’s hotel and diner at Route 25 and Dundee Avenue in Elgin. 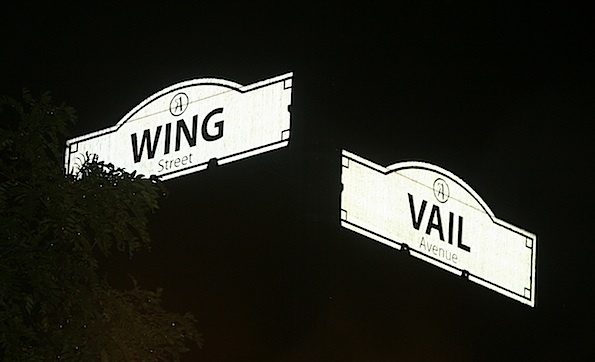 The deputies arrived at the parking lot to park their police cruisers at 2:32 a.m., September 28, 1982 and planned to have a meeting and bite to eat during their shift. About 30 feet away on a grassy strip the deputies noticed two boxes with the words “EXTRA-STRENGTH TYLENOL CAPSULES” on the boxes. In between the boxes was a pile of white powder, and hundreds of capsules strewn about nearby. Swanson and Chavez scraped up some of the powder and rubbed it between their fingers. They assumed a drug dealer cutting cocaine or some other illegal drug dumped the suspicious items. Suddenly Swanson became violently ill with nausea, dizziness and vomiting, and Chavez noticed pain and swelling in his arm. They rushed away — leaving the dangerous packages, but without making a connection with the symptoms and the packages. Swanson couldn’t finish his shift. Chavez finished his shift with the arm pain continuing. The next morning both were hospitalized. Hours later seven people would die after taking Extra-Strength Tylenol capsules. The victims of cyanide poisoning were Mary Kellerman, 12, Elk Grove Village; Adam Janus, 27, Arlington Heights; Stanley Janus, 25, Lisle; Theresa Janus, 19, Arlington Heights; Paula Prince, 35, Chicago; Mary “Lynn” Reiner, 27, Winfield; and Mary McFarland, 31, Elmhurst. The first cyanide poisoning victim was a 12-year-old girl from Elk Grove who suffered a morning headache. Her death was followed by a 27-year-old postal worker in Arlington Heights. The postal worker’s brother in Arlington Heights and his brother’s new wife (grieving from their loss) unknowingly took Tylenol from the the dead brother’s tainted bottle and also died instantly in an Arlington Heights home. Theresa Janus collapsed right in front of the paramedics on the scene who were treating her husband, and obviously became distressed and extra alert concerning the circumstances. Three more random and unrelated deaths occurred in the Chicago area the same day. Described in Chapter Four, off-duty Arlington Heights Fire Department lieutenant Philip Cappittelli and Elk Grove Village firefighter Richard Keyworth (during a discussion as friends about fire and police radio communications they heard on their personally-owned public safety scanners) recognized that the mysterious deaths in Arlington Heights and Elk Grove Village all involved Tylenol. Tylenol from the scene was tested and cyanide was detected after Arlington Heights fire officer Chuck Kramer and Village of Arlington Heights nurse Helen Jensen rushed to the Janus home to recover the bottle of Tylenol. The contents tested positive for cyanide. Police and fire vehicles with loud speakers traveled the streets warning people not to take Tylenol. Firefighters and police officers met people at the train station to warn them to discard their Tylenol. So-called copycat cases and false alarms followed nationwide. Millions of bottles and packages of Tylenol were recalled and burned, according to the author, before a complete testing of the evidence could occur. Investigators eventually recovered eight tainted bottles, five related to the deaths, two turned in by consumers and one pulled from a store shelf. The book points out suspicion about who and how the two bottles were returned by consumers. One of the bottles was turned in by the wife of a DuPage County judge. There is also a strange twist involving the Tylenol that was taken by Mary “Lynn” Reiner, of Winfield, who just returned from the hospital with Extra-Strength Tylenol in a care package, but was alleged to have taken Tylenol purchased at Frank’s Finer Foods. Cyanide-tainted Extra-Strength Tylenol that was purchased at the Jewel store at the corner of Vail Avenue and Wing Street killed three people in an Arlington Heights home on September 29, 1982. The well-known story goes that in late September and early October, the work of a lone killer (never apprehended) was revealed after he or she contaminated Tylenol with cyanide and replaced it on shelves in stores (Jewel Foods, 122 N. Vail, Arlington Heights; Jewel Foods, 948 Grove Mall, Elk Grove Village; Osco Drug Store, Woodfield Mall, Schaumburg; Walgreens Drug Store, 1601 N. Wells, Chicago; Frank’s Finer Foods, 0N040 Winfield Rd, Winfield; and one unknown location). The author contends that the popular notion is portrayed by media and corporate spin set to protect Johnson & Johnson from liability following the damaging truth that the cyanide-contaminated Tylenol occurred in the distribution channel of the Extra-Strength Tylenol manufacturer. Secured Tylenol was replaced on shelves about two months after the murders with improved, secured packaging. Packaging security in many products improved as a result of the crime. But the investigation, for decades continued to focus on a lone offender that replaced deadly, contaminated capsules at the retail level. Recently, federal investigators requested a DNA sample from Unabomber Ted Kaczynski, who lived in the Chicagoland area at the time of the murders. He has not been charged related to the Tylenol case, and those close to the findings of Bartz believe that the effort to investigate Kaczynski are just distractions to keep the public diverted to the lone wolf terror theory, and off of the findings of Bartz that are revealed in his book. The book is filled with interesting information about the industry, and the development of vital business in Chicagoland (starting with the Clearing Industrial District in the Southwest side of Chicago near Midway Airport), and the connections to politics and players in Johnson & Johnson, the government and the media. According to Bartz, it seemed that Cook County Medical Examiner Robert Stein was the only official interested in uncovering other cyanide-poisoning deaths possibly linked to Tylenol. Bartz claims that Johnson & Johnson did not inspect any Tylenol from Chicago area hospitals, repackaging facilities or distribution centers. Oddly first responders were ordered to warn people to destroy their Tylenol capsules — “not a very good way to treat potential evidence in a mass-murder investigation.” Bartz also points out additional deficiencies in Johnson & Johnson’s methodology in finding and investigating tainted capsules. 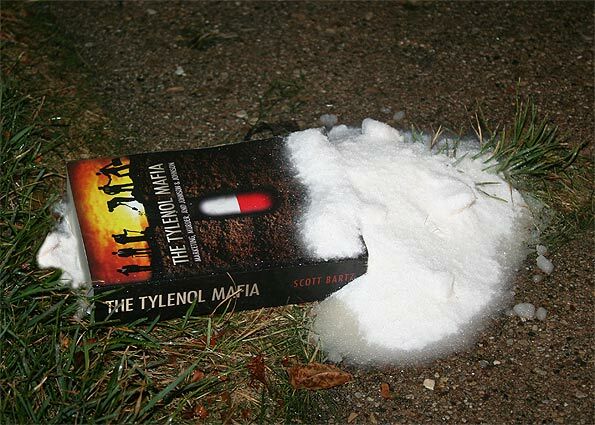 The book points out troubling details of the Tylenol murder investigation corrupted by well-connected corporate executives and politically motivated government officials. Bartz recognized peculiarities with Johnson & Johnson and the Tylenol murders in 2008, as he was doing research about the company three years after he filed the lawsuits. Big Pharma is the nickname given to the pharmaceutical industry. The name comes from the acronym used by the industry’s lobbying arm — the Pharmaceutical Research and Manufacturers of America (PhRMA). Critics of the pharmaceutical industry often use this nickname when discussing abuses by the industry.